Aloha friends! I am so happy I have only 3 days until Spring Break! Hurray!! I actually really only have two teaching days left. On Friday I have a sub. I have to take my van into the dealer and the only day that works is Friday. So I guess I am getting an early start. I know that I should probably get a new car, but I love the old beater that I have. It's filled with beach gear, sand and surfboards. What more could you want on the North Shore of Hawaii? Speaking of the beach, who is ready for warm weather and sunnier days? 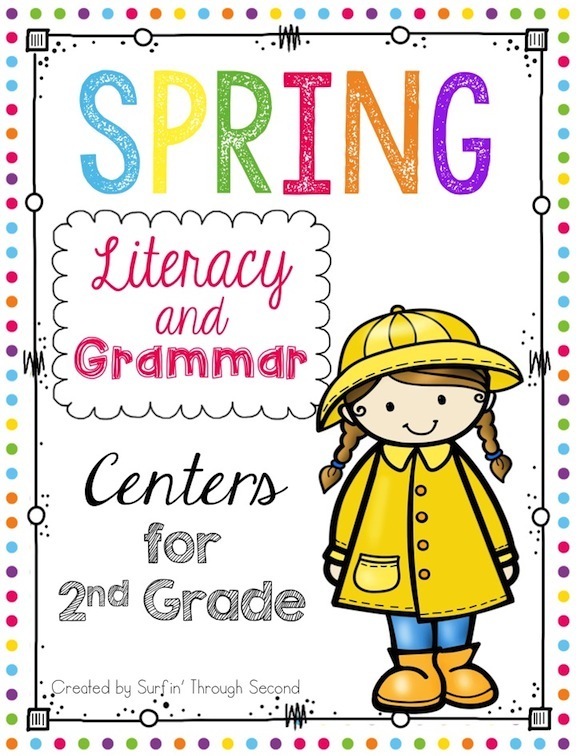 As we head into the last quarter of school I wanted to share something I do with my kids for the last part of the school year. Every year after Spring Break my kiddos get a little crazy. Summer is just around the corner, they are used to the same old routine and start to test a little more, right? 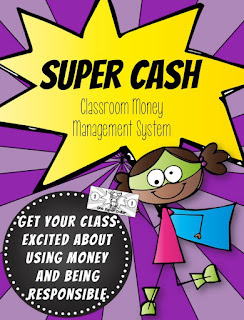 Well I have been using this money system for awhile and it works wonders in my class. 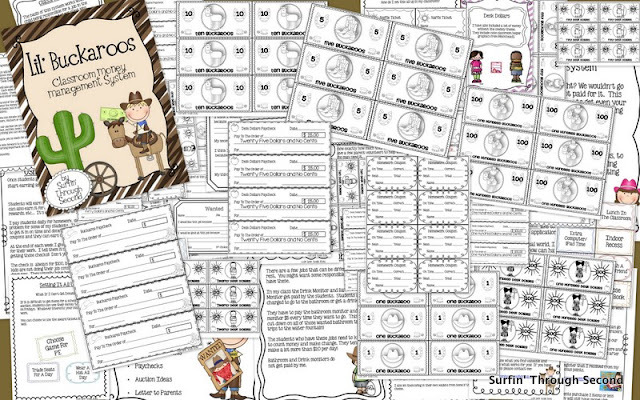 This is a money system that I use to help my kiddos stay happy and engaged, and let me tell you it works! Basically my students get paid for the work they do for the last quarter. They get paid for their classroom jobs, homework and classwork. It is a mini-economic system in your classroom. 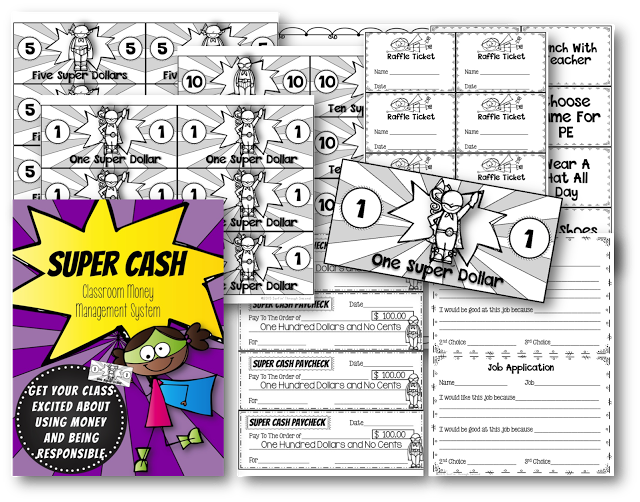 Kids get a weekly salary, get paid by check, cash it at the bank, and go shopping in the school store. There are specific jobs for all of this, and the students run the whole thing. 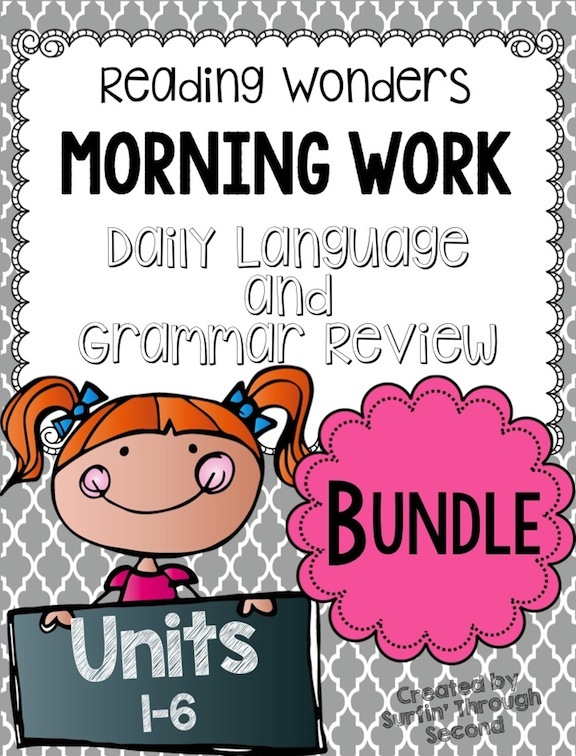 Today I posted the classroom jobs that kids could apply for. I explained each one and told them that they were going keep this job for the rest of the year. Here are some of their applications. Notice the second one. Do you have a problem with kids going to the bathroom ALL the time? This student will get $5 from each child who has to go the bathroom. She is thinking ahead to all the $ she will earn for this job!! Once we all have a job I post up our job board. Each week they will earn $100 for doing their job. On Fridays they get a check. Whoo Hoo Payday!! 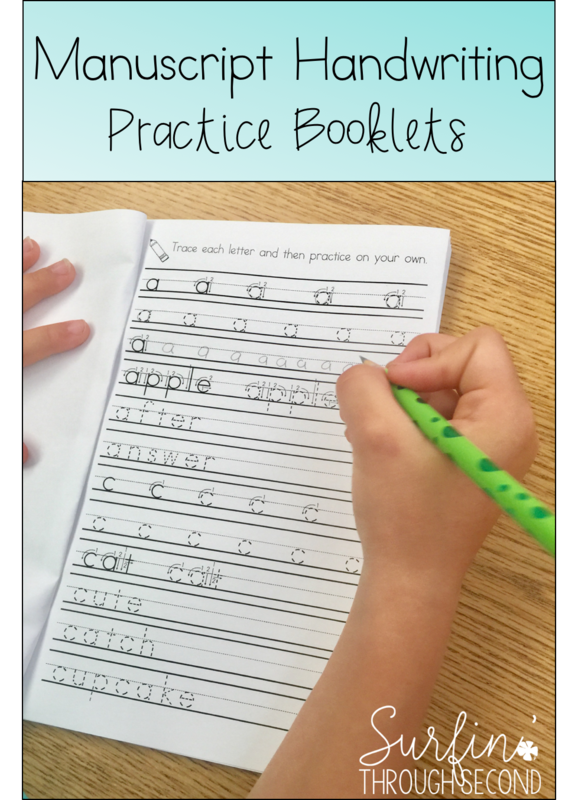 They also have homework coupons that they earn over the week. My bank tellers cash checks and then students can go to the school store. The bank is a pretty crude affair with the money just sitting out on the desk. We keep the rubber bands on because the wind blows everything away!! My bankers have to be pretty good at counting out money in order to have this job. After the check and coupons have been used, my assistant banker stamps the check to show it has been paid and places it in our money box. Now that they have cash they can head to the school store. My storekeeper can use the cash register to add it all up. They do have to be able to make change, which can make this job challenging. The kids love this cash register. It is perfect for our school store. but I know you can get them on Amazon too. 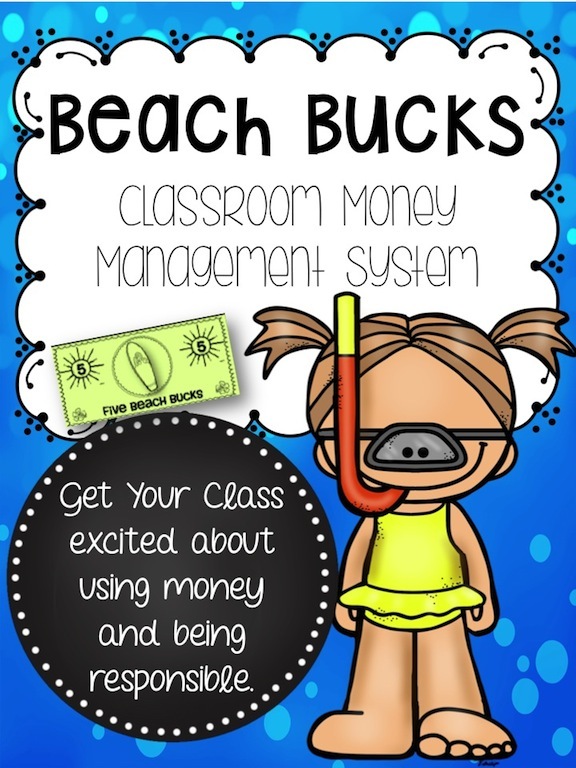 My kids love using our Beach Bucks. 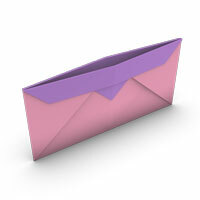 We even make origami wallets to keep our money in. Many of them bring their own wallets from home. Click on the pink wallet to take you to a tutorial. Kids get paid for their work, but they can also lose money! The money bucket is on my desk. If you break a rule then you have to put $$ in the bucket. Kids that show good behavior earn raffle tickets and can win the bucket of money at the end of the week! At the end of the quarter I have a class auction for the kids to spend their money. I have used this system for the last 10 years and have finally put it all together. I am sure many of you already use a money system in your classroom. Hopefully some of these ideas will help you to add a bit more to it. If you want the whole system you can pick this up in my TpT store. I also have two other themes that are the exact same system. 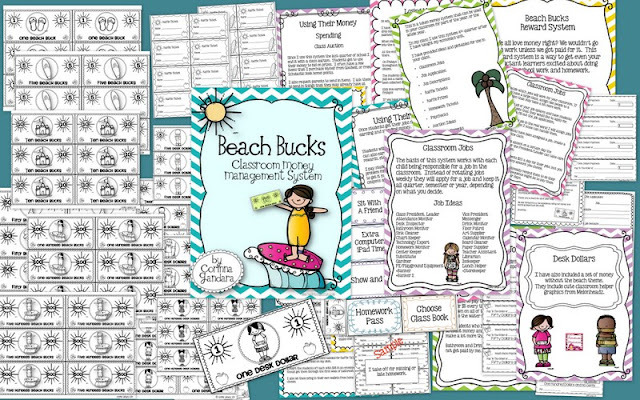 Hopefully one of these fun themes will help keep your classroom running smoothly for the rest of the year! Wow! Great system and packet! 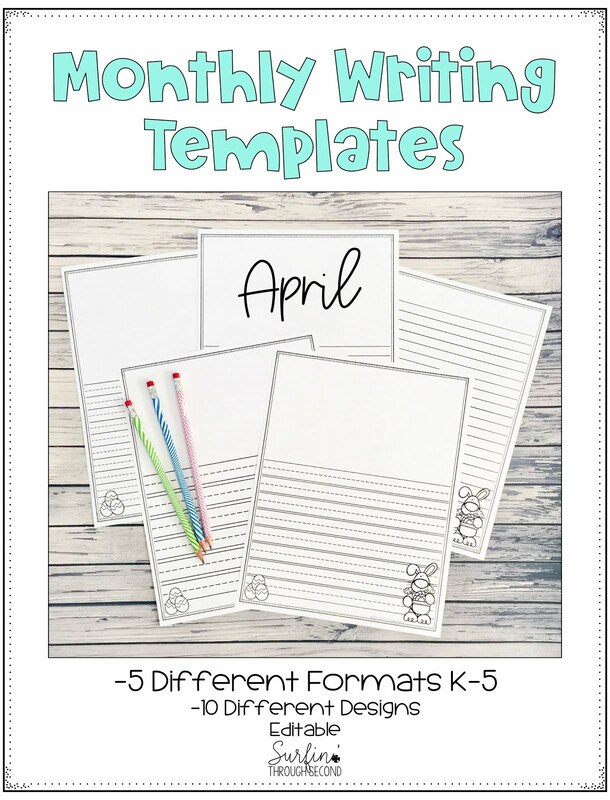 I could use this with my kids! I would love to win this unit! My kids are getting antsy too as we was toward spring! This could be the ticket. And what kid(or adult doesn't love money). Wow! This is fabulous! I have done something similar with token just to give the children incentives but I love your pack! We had different goals they had to reach by the end of the year! They also got tokens for home reading, unbelievable how much they read when they get tokens! Enjoy your last few days before spring break! Oh, this looks great! We have spring break next week, and I feel like I'm already having some of those behaviors :) I'd love to be a winner and try this in my room. Ps - how do you get such neat handwriting from your kids??? I have a couple that I can't even read! My normal spring bribery isn't going to work this year, so this may be the answer! This looks amazing! I would love to do something like this! I teach 2nd grade in NC. I would love to try money in my classroom. 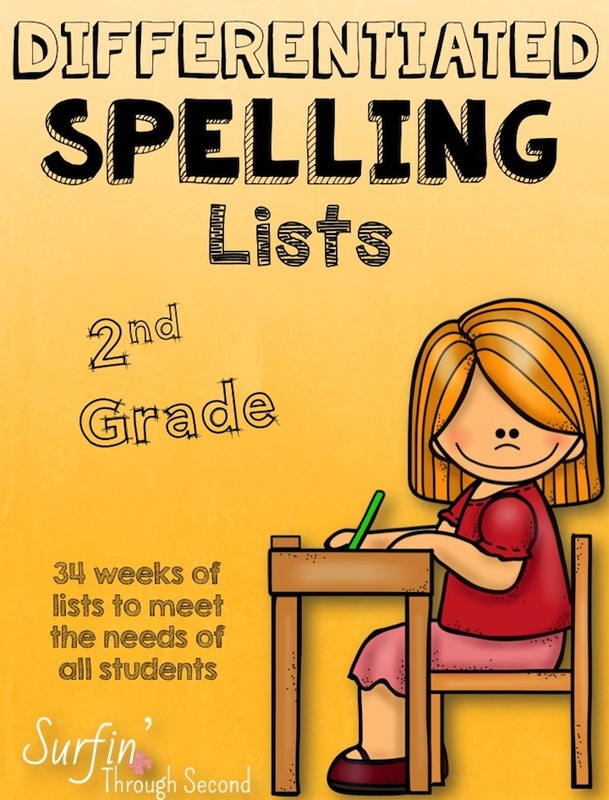 I have teacher friends who use it in my school, but not in 2nd grade. It sounds great! Thanks for the "chance." Very very cute:) Looks amazing! This would work great in my room, we are the Beach Bums! I have tried a money system program once before but yours seems like it would work better! Such a complete pack - I love it! The theme is fantastic! My kids would love this! They love anything to do with money! I definitely need this!! I work with all students that have behavior issues and I have been looking for something to catch their attention. We already do a store based on behavior points, but this would take it up another step. Great ideas!!! I love the beach theme also. 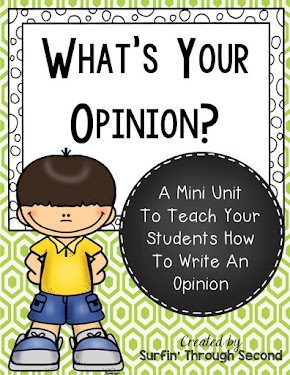 I hope to use this with my class and blog about my experiences with it! This is an awesome system! Our school has a school wide positive behavior system based on "Calverton Cash". At the end of each month there is a school wide activity for students who have not been in trouble, but they have to "pay" for their ticket! Looks cool! I dread "spring fever"! I'd certainly have to train my bankers. This looks like a great way to end the school year!! Have a great Spring Break!! 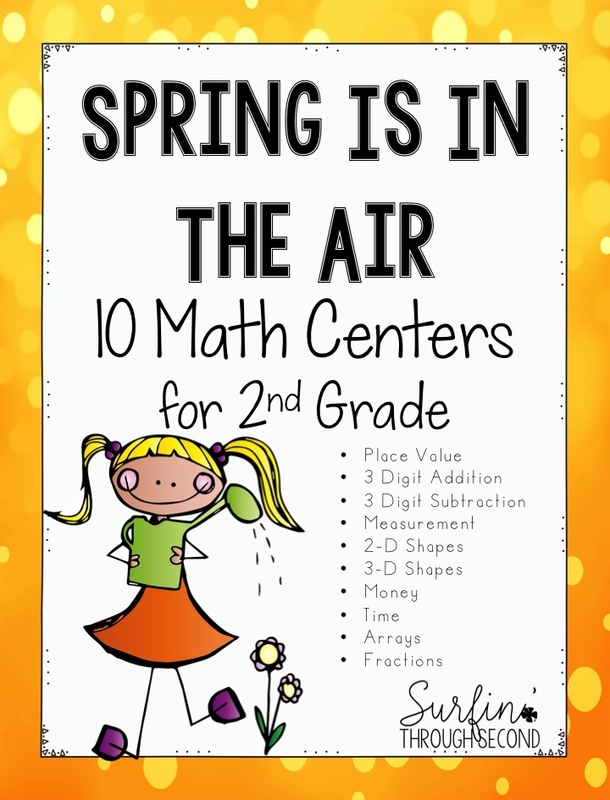 I would love to use this system with my second graders for the last quarter of the year! 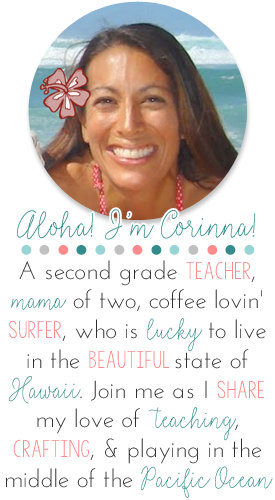 That's a brilliant idea, Corinna! I love it! LOVE it! This would liven up our current school-wide positive behavior system...especially this time of year! I'm a new follower of yours, by the way! So jealous of your weather and scenery! We have had cold wind-chill here. I have a beach theme in my classroom (wishful thinking). This would fit in perfectly! What an awesome idea! I live in southern CA and love the beach bucks theme. Thank you so much for sharing so generously. Wow, what a fun idea. It would not quite work for my room as I do not have enough students to do the jobs but I like the idea overall because the end of the year is tough and students should have a different reward system to keep them going. I love this idea! 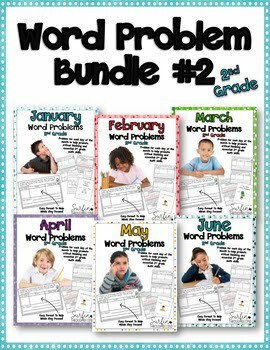 I am a new teacher and I have been looking for something like this to use in my classroom. If at first you don't succeed, TRY TRY AGAIN!!! This system is unbelievably AMAZING!!! 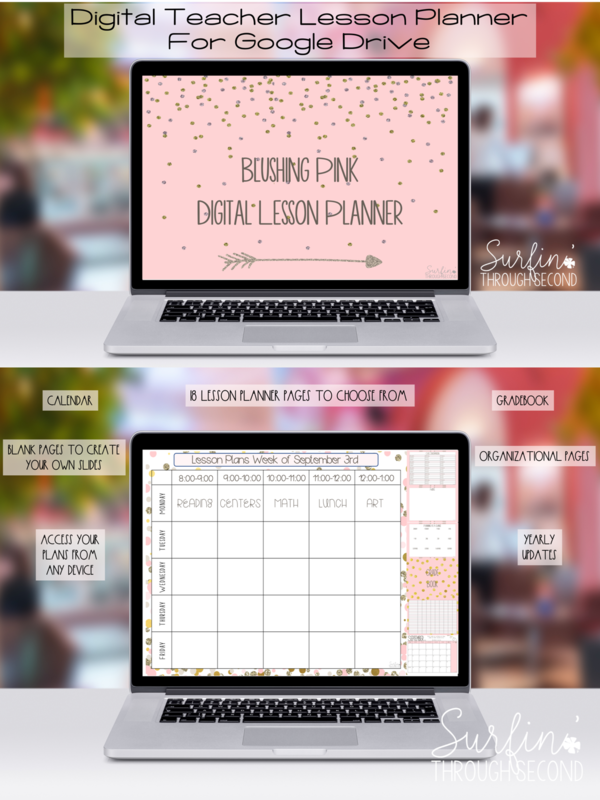 It is so unique and creative, and I desperately need to update my own classroom management!! It would also definitely brighten our days after a VERY long, cold winter =D. 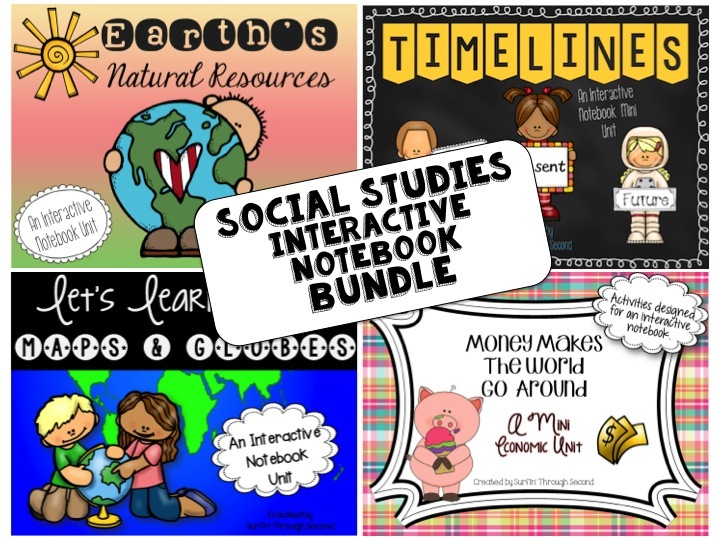 I would absolutely LOVE to be the LUCKY recipient of this resource <3. Thank you for considering me =). leafsgirl@rogers.com. Congratulations Rose! You are one of my winners! Thanks so much for commenting! This system is so amazing!! I am a first year teacher and this would really make my Friday...it would actually make my week! I would SO love to implement this. This is perfect for this time of the year. I am from VA and since we missed so many days they are adding time on to our days! This might really help! Thank you! Happy almost Friday! I love this! My 2nd graders would really enjoy it. They are loving counting money right now. Congrats Keena! You are one of my winners!! I will email you shortly!! Thank you so much! I can't wait to use it!! Okay. I didn't read all the comments so you may have answered this but you have the kids go to the store every Friday??? How long does this take you? I don't think I would be allowed to spend that much time away from instruction to do this. What are the other students doing while some are shopping or cashing their checks?? 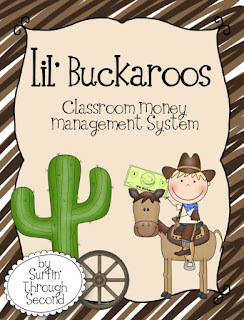 I have a money sysem in my class called Butterfly Bucks but we only go shopping every quarter. Tammy the first time takes a bit of time and I have to help the kids get through the store and the line. I take the last 45 minutes on the first Friday. After that we are able to get through it in about 30 minutes. The other kids are playing math games in the classroom. At the store I only have small items. The big items are reserved for our class auction. For your weekly store, do you have things like you would have in a treasure box? What about students who break a rule but don't have any money? Yes, I have simple items like pencils and erasers. Depending on what parents donate sometimes we have snacks too. I very rarely have students who don't have any money. If they need to borrow money they can, but it comes out of their paycheck for the next week.